The ability to host or participate in a conference call from almost anywhere is a technological advantage that allows for convenient interaction with your clients or employees. Calls taken in noisy locations, however -- such as at home with the kids around, a crowded café or even a busy office -- can disrupt the conversation for everyone. 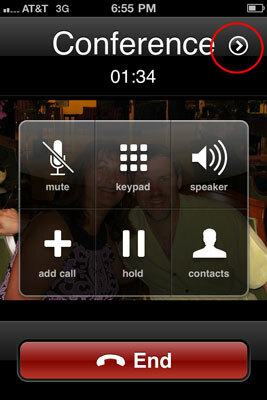 Muting your cellphone or landline allows the meeting to proceed without any audible distractions. Muting most cellphones and landlines requires just a single push of the mute button. The button location can vary by phone. It's usually on the keypad on landlines -- tap it to mute and when the call is finished, tap it again to return to normal operating mode. The mute button on cellphones is also usually located on the keypad and requires only a tap to activate. On the iPhone 6, for example, you can hit the microphone icon on the keypad to silence your side of the call, then touch it again when you want to add to the conversation. If you're unable to locate the mute button on your phone, press *6 (Star 6) and this should mute the call. If you're using a headset, muting it can serve as an alternative to muting your phone. The mute button is usually located near the volume and on/off controls. When you host a conference call with a large number of participants, there's always the risk that someone will forget to mute their phone and disrupt the meeting with background noise. Many conference call services allow the host to mute the phones of everyone calling into the meeting. For example, AT&T’s TeleConference Services requires that the host push 8 on her phone to do this after she activates the call. The function is disabled for each attendee when he hangs up. Muting all participants works best during a presentation or training call where the attendees don't have to participate in the conversation. Low audio volume from one or more participants on the call requiring others to ask for them to speak up. Tip: Ask the participant to speak up or speak directly into the microphone. Move microphone closer to the participant. Popping and cracking in the line - sounds almost like a fireworks display heard from a distance. Tip: Ask if anyone has any electronic devices near the phone and note what those devices are. (Blackberry, newer cell phone technology, WIFI laptop cards, etc) If they do, ask them to either turn the device off or move it farther away from the phone’s receiver. Tip: Ask if anyone is using a cell phone and, if so, ask that they mute their line. To mute ones line press *6, to un-mute press *6 again. Tip: Mute all callers by pressing *5. Have each participant un-mute their line one by one by pressing *6 to isolate the source of the echo. Tip: Ask if participants have more than one speaker phone in close proximity and, if so, eliminate one of the speaker phones or mute one of the lines. Tip: If a conference phone is being used in a conference room, ask the participant to pick up the handset. Silence - one or more participant(s) is (are) unable to hear the other conference participants. Tip: Contact customer service at (844) 844-1322. Static - sound like the interference heard when listening to an out-of-range radio station. Tip: Ask if anyone is using a cell phone and, if so, ask that they mute their line. Tip: If a single participant, ask what type of end device s/he is using. If everyone on call, contact customer service. Hiss - a constant high-pitched noise is heard on the line. Fade in/out - a speaker’s voice trails off while speaking. Tip: Ask for the device being used by the speaker and contact customer service. Buzz/Hum - a constant low-pitched noise is heard on the line. Tip: Ask if anyone has any electronic devices near the speaker phone and note what those devices are. (Blackberry, newer cell phone technology, WIFI laptop cards, etc) If they do, ask them to either turn the device off or move it farther away from the phone’s receiver.